Sunshine is entering its 16th year of hosting a Christmas store for the Woodlawn Community. Born out of a conversation about ways to empower families in the community, the Christmas store has played a vital role in allowing caregivers to provide quality Christmases for their families at an affordable price. Sunshine has been connected with churches and individuals that generously donate items. Instead of giving all the items away, Sunshine has set up a store annually, allowing families to shop for their children with items marked down to 1/4 of the retail price. It has proven year after year to be a crucial way to funnel resources into the underserved Woodlawn community. On average 50-70 families are able to come through the store in early December each year, browsing through all of the brand-new toys and clothes. “I absolutely love that we are able to assist parents, especially at Christmastime. Many struggle year-round to provide for basic needs so at Christmastime there is nothing left for anything extra. I love that we play the background role in allowing them to be the heroes in their kids’ lives on that day,” says Middle School Director Donnell Williams who has been helping coordinate the store for 5 years. Each year Sunshine accepts donations from churches and individuals. The past few years, they have been able to create an online list through Amazon and Target that allows people to purchase items to donate. Some churches have also used it as an opportunity to come and volunteer in person. It proves to be a tangible and meaningful way that people can participate in blessing the community. Some of the most popular items this year are basketballs, footballs, dolls, Baby Alive, crafts, and clothes. Sunshine values partnering with families in ways that empower them to continue providing for their children. The Christmas store is one tangible way to do this. 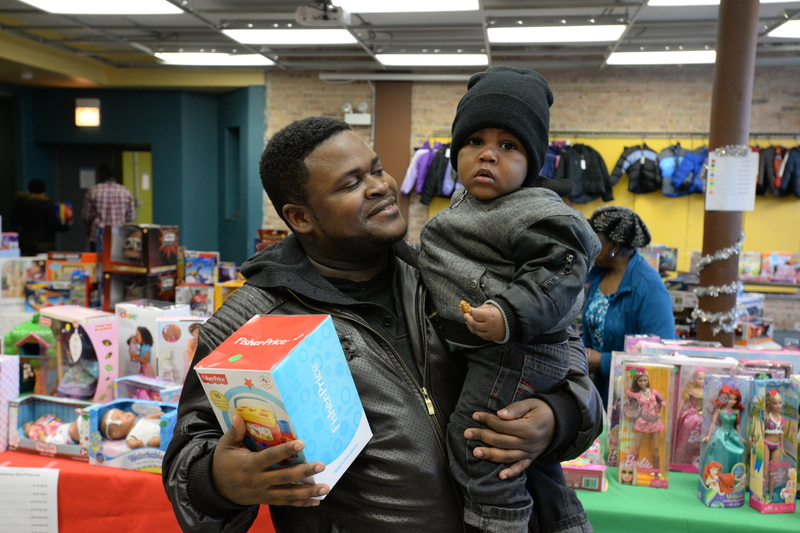 Through the generous donations of many supporters, the store continues to reach families in Woodlawn. Many rely on this year after year to help provide a special Christmas for their families. This year the store will be open on Saturday December 8th. Donations will be accepted through December 5th.